State of emergency which was declared after failed 2016 coup comes to an end. The state of emergency which was declared in Turkey after the failed 2016 coup came to an end overnight Wednesday, AFP reports. President Recep Tayyip Erdogan declared the state of emergency on July 20, 2016, five days after a failed coup. The state of emergency had already been extended seven times, the last time being in April. The measure officially ended at 1:00 a.m. Turkey time on Thursday, the state-run Anadolu news agency said, after the government decided not to ask that it be extended for an eighth time. 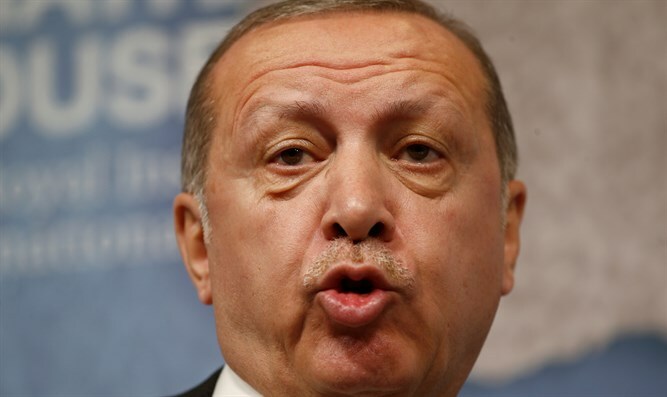 Erdogan had hinted that the country could lift its state of emergency after the elections in June, in which he was reelected for another term. The state of emergency saw the detention of some 80,000 people and about double that number sacked from jobs in public institutions. The biggest purge of Turkey's modern history has targeted not just alleged supporters of Fethullah Gulen, the U.S.-based preacher blamed for the coup, but also Kurdish activists and leftists. Gulen denies involvement in the attempted coup and has condemned it. He has hinted that the uprising could have been “staged” by the government. The opposition has been angered by the government's submission of new legislation to parliament that apparently seeks to formalize some of the harshest aspects of the emergency. The bill, dubbed "anti-terror" legislation by pro-government media, will be discussed at commission level on Thursday and then in plenary session on Monday, according to AFP. The main opposition Republican People's Party (CHP) said the new measures would amount to a state of emergency on their own. "With this bill, with the measures in this text, the state of emergency will not be extended for three months, but for three years," said the head of the CHP's parliamentary faction, Ozgur Ozel. "They make it look like they are lifting the emergency but in fact they are continuing it," he added.